FREE Individual Meal With Purchase! You are here: Home / FREEbies / FREE Individual Meal With Purchase! Until July 9! 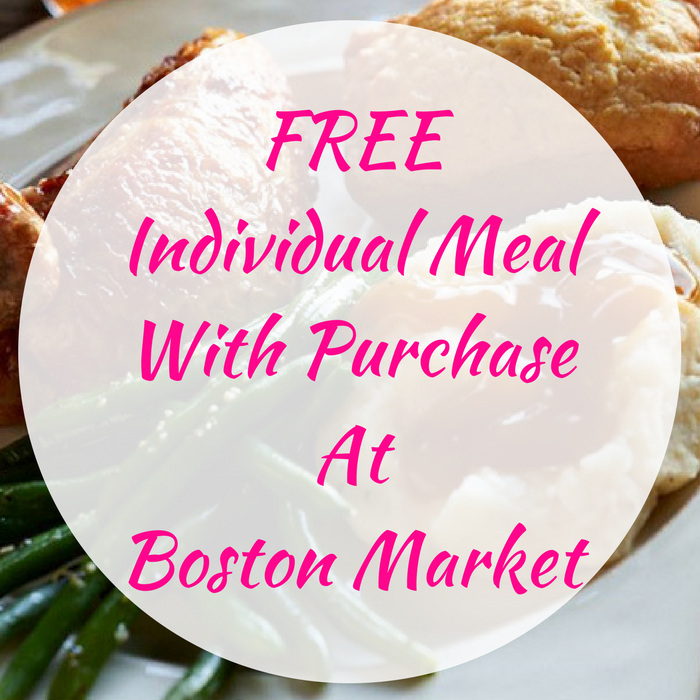 Hurry over to Boston Market to score a FREE Individual Meal with any individual meal and a drink purchase! All you need to do is present this coupon upon ordering. This is valid at all participating restaurants and cannot be combined with any other offers. There’s only 1 limit per customer. Enjoy!